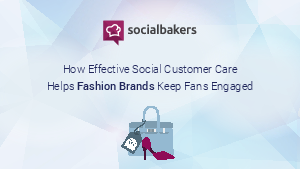 In this report, we break down how the Fashion industry is getting value from social customer care. Socially Devoted brands are those that respond to at least 65% of the questions they're asked on social - and they are also some of the most-engaging brands on social media. On average, Socially Devoted Fashion brands get 3.5x more engagement than other Fashion brands. See how you can get those results with our guide.